Muharraq, Bahrain, 2015-5-13 — /Travel PR News/ — Preparations are in full swing as Bahrain Airport Company (BAC), the managing body and operator of Bahrain International Airport (BIA), is gearing up to host the first edition of Routes Middle East and Africa 2015 (Routes MEA 2015) in the Kingdom of Bahrain this month. 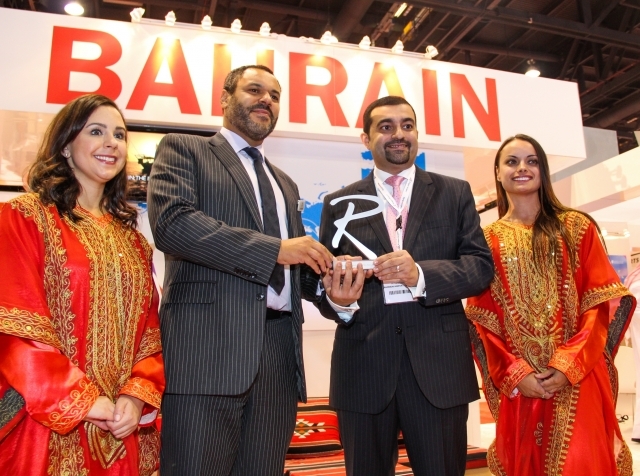 The inaugural Routes Middle East and Africa will be held at the Gulf International Convention Centre from the 31st of May to the 2nd of June 2015 and is expected to draw in hundreds of delegates from across the Middle East and African’ aviation industry looking to benefit from valuable information exchange, networking opportunities and prospective partnerships. Routes MEA will provide an ideal knowledge-sharing platform for aviation professionals via exposure to constructive panel discussions, debates and presentations on upcoming trends, aviation challenges and developments across the Middle East and Africa. This significant industry gathering will be attended by over 350 visiting delegates representing the vast aviation spectrum including airlines, airports, tourism authorities and related bodies. An exclusive list of high-caliber industry experts and thought leaders, including HE TheMinister of Transportation and Telecommunications and Bahrain Airport Company’s Chief Executive Officer, has been lined up to shed light on vital topics impacting aviation advancement in the region during a one-day Strategy Summit. This select group of specialists has helped shape the industry in the Middle East and Africa, and will focus their discussions on route development strategies and opportunities, open skies policies and protocols, the pressing need for better information exchange and regulatory reforms, the impact of European legislation on Middle East carriers, airport congestion and building airports for the future, and market liberalization across Africa to fuel tourism growth. “We are proud to be hosting this prestigious inaugural event in Bahrain; it offers a remarkable opportunity to affirm Bahrain’s role as a leading regional hub and reiterates our deep-rooted aviation heritage. We look forward to welcoming the visiting delegates and showing them the unparalleled warmth and hospitality that defines us, both as host and as a nation”, further stated Mr. Khalil. Routes MEA will become part of the global Routes portfolio organised by UBM EMEA, which includes World Routes; Routes Asia; Routes Europe; Routes Americas; Routes Silk Road; Routes Africa and Routesonline. BAC is the authority responsible for operating and managing Bahrain International Airport as a world-class airport. As part of its’ operator role, BAC is responsible for elevating the airport’s infrastructure and services. This set to improve the Kingdom‘s aviation capabilities; and to cater for the growing number of passengers as well as the changing demands of the airport’s stakeholders. This entry was posted in Airlines, Airports, Transportation, Travel, Travel Management, Travel Marketing and tagged Bahrain Airport Company, Gulf International Convention Centre, Katie Bland, Kingdom of Bahrain, Mr. Mohamed Khalil, Routes MEA 2015. Bookmark the permalink.